The Children’s Place is offering an additional 15% off your entire purchase when you use the coupon code ONLINE3 at checkout. Plus, shipping is free! 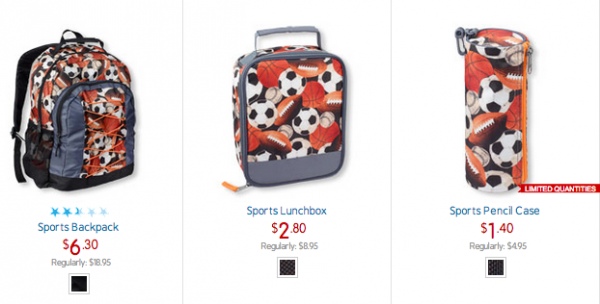 There are lots of great deals such as these lunchboxes pictured above for just $2.80, backpacks for $6.30, and more! Check the clearance sections for great deals on clothes as well! This offer is valid today, September 8, 2014 only.